Good Choice Reading: Halloween Character Booktacular with author Amalie Howard & Giveaway! Halloween Character Booktacular with author Amalie Howard & Giveaway! “Why?” Christian sat in the armchair across his study. He’d just come back from one of his Council visits in Paris, and Victoria wanted to spend time—as in alone time—with him instead of having to go to some dance that Charla was dragging them all to. Even worse, a Halloween dance where she’d have to pretend to be something that wasn’t natural. Not that that wasn’t her life already or anything. Victoria tossed herself in his lap and threw her arms around his neck. “You know exactly which vampire,” she whispered against his throat. She could feel his sharp intake of breath beneath her lips and smiled. Victoria avoided Christian’s eyes. “It’s just so fake. Everyone pretends to be things they aren’t when in reality, if they knew any of us existed, they’d try to kill us without breaking a sweat. We are the obscure … the invisible.” She stood, flirtation forgotten, and walked over to his desk to lean against it. She held her palm up and whispered a spell to make her hand disappear, finger by finger, erasing it from sight until there was nothing there but a shimmer of movement. “And then what happened?” Victoria prodded gently. Christian crooked a finger, and she walked forward. “Perhaps it’s better if you saw for yourself. It’s difficult to explain.” He stood, placing his hands on either side of her face and resting his forehead against hers. “Ready?” he whispered. She nodded. In a flash, Victoria was transported to another place, another time. They stood in a dark forest around a blistering bonfire. She could see through Christian’s eyes, but at the same time she could see his face, almost as if she were floating outside of his memory. Her heart constricted. Christian’s face was haggard, his mouth drawn tight as if he were hungry. He looked like he was being torn apart from the inside out, the rawness of every emotion etched across his brow. She longed to comfort him but knew there was nothing she could do—she was only experiencing his memory. She turned her attention to the fire. It was the Festival of the Dead, Christian told her via his memory, one that was celebrated to honor those who had died. It was during a time when the veil between the mortal world and the immortal world was at its thinnest … when the voices of those gone could be heard. “Then your mother you shall find,” the woman said. Before Victoria’s eyes, the fire blazed twice as high as villagers jumped backward out of reach. The woman chanted something in an indistinguishable language, throwing bits of apple skin and seeds into the fire. The fire flared brighter, impossibly hot, and Victoria almost had to turn away from the visceral memory until something materialized in the flames. Dressed in an empire-style white full-skirted gown with puffed sleeves, she stepped from the embers to stand in front of Christian. 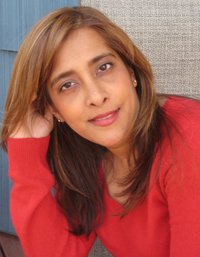 Her golden hair was parted in the middle and clustered in curls on the sides of her temples. She looked regal and beautiful. She looked so much like him that Victoria gasped aloud. “My son, why have you summoned me?” the woman said, her voice a musical whisper on the wind. Victoria jerked out of the memory, her face soaked with tears. She grasped Christian’s shoulders. His own face was broken from reliving the memory of what had to be the last vision of his mother. “So that’s why you won’t give up on Lucian,” she whispered. “You think I’ll be able to sense my parents?” Victoria said. Christian grabbed her around the waist, taking her lips in a scorching kiss that she felt in her toenails. She wrapped her arms around his shoulders, plastering herself to him and returning the kiss with enough zeal to match his. He was the first to break away, his eyes silvery and feral. If possible, the wild changes in his face made her more excited. She stepped closer, brushing her fingers against his cheek, her thumb sliding to the points of his incisors just visible beneath his lip. Victoria complied with a blush, the spell hardly a thought in her head before they were shrouded in sweet, welcoming darkness. Give me anything Bloodspell related and I will read it! I liked Christian's backstory. It explains why he feels compelled to protect his brother. Thanks Amalie! I really loved getting a little backstory. The characters seem to make this book come alive!! Loved it! This is the first time I've heard of Bloodspell. It is now going on my to read list. Thank you. This was a great little excerpt! Makes me want to read more of Bloodspell. I loved it. Will enjoy reading the entire story. Thank you. I loved it!! Thanks for the chance to win! Oh I loved it. Thanks for the giveaway. I like the story~the synopsis was genius..giving the reader a tease. That works great because it has me interested to read the rest of the book.Thanks for the chance. The characters are so playful! I've never read anything by Amalie Howard, so I'm looking forward to reading this one whn I can get my hands on a copy! Thanks for the giveaway! This is SUCH a good story! I'm already hooked. I definitely want to get my hands on this book soon. Thanks for the giveaway and for sharing the story! Love it! A witch, vampire, and ghost make a perfect Halloween story! Wow, that was great. It's so fun to see the characters in a different context, like Halloween. Kudos to do those who thought of this very different kind of hop. I think it's a great story, thank you for sharing! I haven't heard of this book before this post, but I am excited to add it to my TBR list. This Christian character sounds dreamy! I haven't heard of this book before this post, but I am glad to add it to my TBR list. This Christian character sounds dreamy! That was a great expert! Samhain or All Hallows Eve are my favorite time of year. Christian is a good brother to not give up on Lucien. I bet that Halloween party will be a great read. I really like the cover. Haven't read this book but now I so want to! This sounds awesome! Cant wait to read this! Sounds so good! Thanks for sharing and for the awesome giveaway! The story is wonderful thank you!!! ::fans self:: whew! that little teaser was something else! you have piqued my curiosity and I will now have to get this book! What a great story-a witch and vampire in love with one another! My favorite part of the story was when Victoria viewed Christian's memory of seeing his mother on all Hollows Eve through the flames comforting him and letting him know that just because he was a vampire, didn't mean that he was evil. This story makes me want to read Bloodspell! I've added it to my Goodreads TBR list! Awwwwww! ;o) I agree with Amanda up there. Thanks! Loved the story. Can't wait for the next book! Thanks for the giveaway! Loved the story! 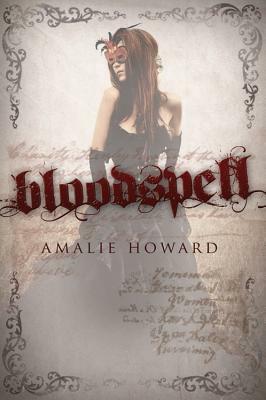 I can't wait to read Bloodspell! Gah!!! Now I want to book even more. Great story. Such an interesting story! Thanks for the giveaway! The story was great! I loved it. Can't wait to read more. The story was so much fun. Loved it! Can't wait to read more! Sounds great. I haven't read the book but I now I definitely want to try it :D Can't wait to read more. Great story. I cant wait to read the book. Parts of this actually made me laugh out loud... tough to do! I enjoyed the Halloween treat and I liked the backstory of Christian communicating with his deceased mother! Any news on the sequel yet? I have never read a halloween themed book and this sounds very interesting!! Also would love a signed copy; I'm new to reading and I don't have any signed copies!! A witch and an old vampire...sounds like a great series! Sounds like a great story! I can't wait to get my hands on it! Sonuds great would love win it. I have not read Bloodspell yet, but the characters sounds awesome :D!